Even if you hated last year’s polarizing mother! (let’s argue about that later), Michelle Pfeiffer’s bracing performance was a reality check for anyone who doubted her chops. But that was a supporting role well-suited for scene stealing. 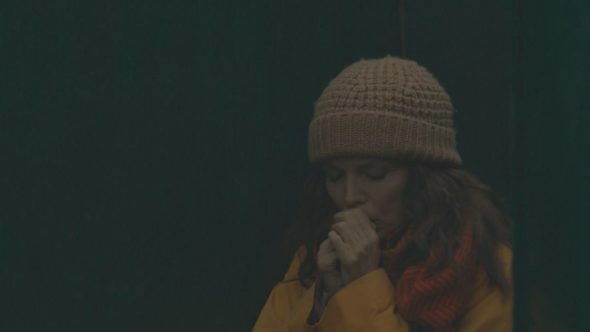 Pfeiffer takes the titular lead in Where is Kyra?, the latest from director Andrew Dosunmu, and not only carries, but elevates a film anchored in some grim realities of American life. Her Kyra is an increasingly desperate woman struggling to keep her deceased mother’s apartment in Brooklyn. Though Kyra continues to look for work, nothing pans out except a dive-bar romance with Doug (Kiefer Sutherland – solid), a cabbie trying to turn his own life around. Mom’s government checks keep coming after the funeral, and the job offers don’t, so Kyra begins a secret life with slim hopes for happy endings. Dosunmu, in his first film since the heartfelt and wonderful Mother of George five years ago, re-ups with screenwriter Darci Picoult and again utilizes a stirring lead performance to study a woman faced with shrinking options and tough choices. But in contrast to the culture clash that drove Danai Gurira in Mother of George, Pfeiffer’s Kyra personifies the perils of aging in America, and how quickly the slope to desperation can become quite slippery. Pfeiffer is masterful, giving Kyra’s tailspin an authentic center even as Dosunmu and Piccoult box her into a corner with questionable credibility. Frequent partial shots through doorways, lingering close ups and selective slo-motion enable Dosunmu to move gracefully from monochromatic grit to dreamlike lenses and back again, each trip reinforcing the reality Kyra can’t wish away. The pace may seem achingly slow at times, the message a tad too manufactured at others, but Pfeiffer is always there to keep your attention from wandering. She pays it small, with an intimately sorrowful center both sympathetic and fascinating, holding Where is Kyra? steady whenever its knees get shaky. Andrew DosunmuDarci PicoultGeorge WolfKiefer SutherlandMaddWolfMichelle PfeifferMother of GeorgeScreen WolfWhere Is Kyra?